For recent Funerals, Click Here. 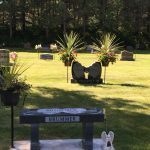 The cemetery is beautifully landscaped with pines and a variety of trees, offering a peaceful resting place for St. Patrick church parishioners and community loved ones. 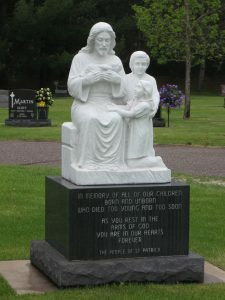 For Cemetery information & sales please contact: Marc Frie at (763) 753-2011 x 7642 or cemetery@st-patricks.org. Section One: located on the south side of the entry road, is currently open for full body and cremation burial with alternating rows for flat markers and upright monuments. Typically, upright monuments require two adjoining graves. Some single graves in the upright monument rows are available for smaller upright monuments. Contact the cemetery committee for these selections. 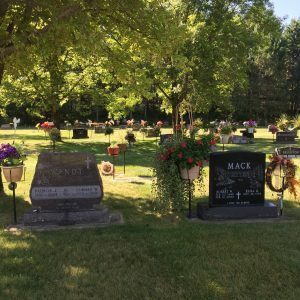 Additional sections of the cemetery will open as needed. Section Two: located on the north side of the entry road, following the curve of the Meditation Garden, is the Miscarried Baby section providing a special place of healing for families of a miscarried baby. Section Three: also located on the north side of the entry road, is the Infant Baby section is just east of the Meditation Garden and the Miscarried Baby section. These two sections are anchored on the east by the Children’s Memorial of Swan mist granite which was donated by members of St. Patrick. Meditation Garden and Pathway: nestled along the pines on the north side of the entry road and surrounded by a garden, shrubs and trees. 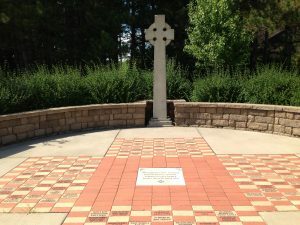 In the center of the Meditation circle and down the center of the Pathway are engraved memorial pavers. Benches offer a place for prayer and meditation. 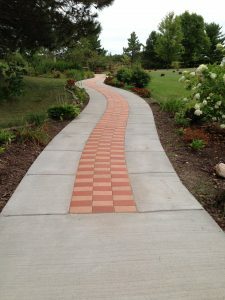 To order custom engraved pavers, contact Darla Jean Thompson at 612-247-3134 or darlajean11@gmail.com with any questions. 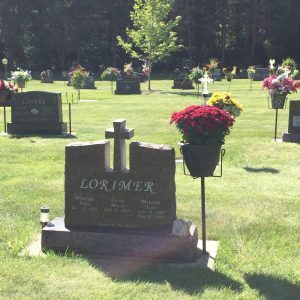 Click here to download Cemetery price checklist. 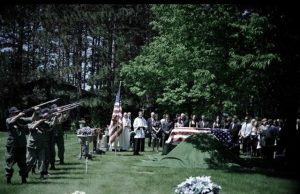 A special Memorial Day mass is offered each year in the church with a salute from the military Honor Guard in the cemetery. Those wishing to donate plants to enhance the gardens may view our recommended Perennial List. We also offer selected areas for Memorial trees and shrubs you may wish to purchase in memory of a loved one. For more information contact Darla Jean Thompson at 612-247-3134 or darlajean11@gmail.com. Grave site decorations can be seen all times of the year. Each grave site can have one or two plant stands to accommodate flowers or plants. Fall and spring clean-ups are done to maintain the appearance. For funeral information, click here. Share your compassion and skills. Join our Cemetery Committee and Gardening Team.